He may be the jolliest guy of all, but his physician probably isn’t feeling very merry. Awash in Christmas cookies and candy canes, and participating in an inadequate once-a-year exercise regimen, Santa’s potential health concerns are too many to count. If I were his physician, I would suggest that as he prepares for his busiest night of the year, he should also get ready for few lifestyle changes. He can start by roasting chestnuts over an open fire. A diet high in healthy fats, or HDL cholesterol, and low in bad cholesterol, or LDL, is a good plan of action. Nuts are a great source of protein, fiber and healthy fats. His rosy complexion and large waist are clues that his cardiovascular system is at risk. I find that having a healthy food alternative on-hand helps my patients stay focused on their goals and avoid unhealthy snacking. 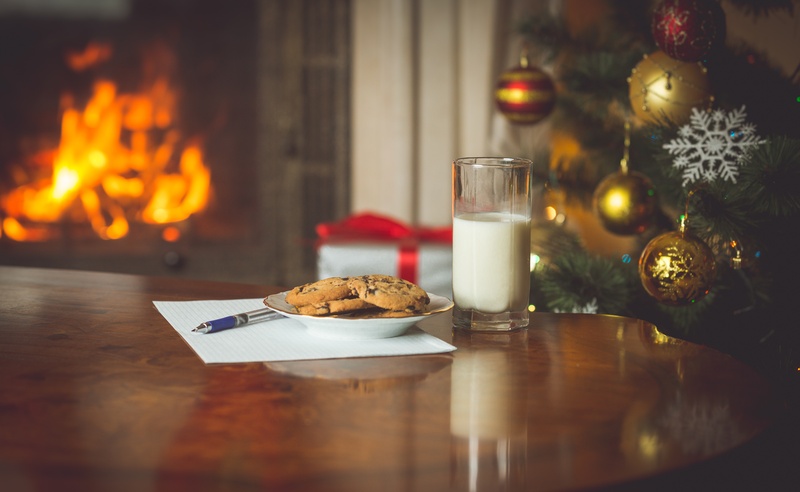 A nutritionist can provide more information about a healthful diet plan that fits Santa’s lifestyle. Whether he chooses to build a snowman in the meadow or prance in a field with his reindeer, exercise is a must. Santa can pick up a few last-minute toys while power-walking the mall. Or if he wants to stay incognito, a gym is also a good option. Not only will regular exercise improve his physical health, but it will also help him avoid the post-holiday blues. Santa needs to take time for himself before his big night and throughout the year. A life full of stressors and long hours can lead to sleepless nights. Spending some quality time with Mrs. Claus may be just what the doctor ordered. His elves will be more productive if they are allowed some time away from the workshop, too. If lifestyle changes don’t solve Santa’s sleep pattern issues, I would advise a visit to a physician specializing in sleep medicine. His weight and sleep issues could be a sign of a dangerous condition called sleep apnea. A yearly check-up with his physician can help him to stay ready for the season and up-to-date on his immunizations and blood tests. His weight, excessive thirst and his habit of coming down the chimney and running straight to the bathroom indicate to me that he could be at risk for diabetes. This is definitely something he should discuss with his physician. And before he travels around the world kissing mommies at every stop, he should consider a flu shot, too. It’s not all bad news this holiday season, though. Santa’s positive attitude and obvious love of his job can greatly improve his health. A glass-half-full mentality has actually been proven to increase life span, reduce the risk of the common cold and improve one’s physical and psychological well-being. My experience is that optimistic patients are typically the most successful on their journeys to lifestyle change. Why not toast to your health and happiness this holiday season? If Santa can do it, so can you. Commit to making a few small changes each month and they will add up quickly. Dr. David Spencer is a board-certified general and bariatric surgeon who practices with Chesapeake Surgical Specialists, a part of Chesapeake Regional Medical Group. Spencer works with the Weight Management Program at Chesapeake Regional Healthcare.